The City of Sebastian, Florida is located in Indian River County approximately midway through the east coast of the Florida Peninsula between Melbourne and Vero Beach in an area known as the Treasure Coast. Sebastian boasts beautiful parks, an unobstructed view of the intra-coastal waterway in the Indian River Lagoon along its riverfront district, close proximity to Atlantic beaches, and a year round average temperature of 73.4 degrees. Sebastian also features many shops and restaurants, several City festivals each year, monthly arts and crafts shows, concerts in the park, a municipal golf course and airport, and a central location with easy access to I-95 and the Florida Turnpike. Information can be found at The City of Sebastian website. Sebastian is great for soaking up the summer sun, enjoying the pristine beaches and unspoiled islands, ocean breezes, pink sunrises and golden sunsets. The scents of citrus blooms in the spring and relaxed lifestyle all combine to make a visit or a permanent move to this locale tempting indeed. Whether your preference is for ocean or river outings, waterfront dining, browsing in art galleries, visits to museums, strolling the beach, fishing or sightseeing, there's ample opportunity to indulge in your favorite pastimes. From unspoiled beauty, natural resources and Spanish treasures to unique festivals and small town charm, the Sebastian River Area has it all. This information courtesy of Sebastian River Area Chamber of Commerce website. The Sebastian, Florida economic development website presents all of the information you require to decide whether to start, expand or relocate your business in Sebastian. Sebastian has the perfect location, close enough to the benefits of major metropolitan areas like Orlando, and West Palm Beach, without the hustle and bustle. In Sebastian you'll find high quality of life for a reasonable cost of living that can truly make retirement a joy. Sebastian, Florida has a low property tax rate and the City finances are in excellent condition. For general specifications in Sebastian, the typical Florida “retirement house” is located on an 80’ x 125’ lot, containing three bedrooms, two baths within approximately 2,000 square feet. Average prices in the last quarter of 2010 are estimated in the $80,000 to $250,000 range, depending on location and amenities. Median house price in the Treasure Coast was listed at $100,000 for the end of 2010. Due to a steep decline in Florida real estate values, there is a large supply of single family houses and condominiums available. There are numerous "gated" communities within Sebastian that provide an added level of security as well as various amenities including club-house, tennis courts and common swimming pool. Condominiums are also available in Sebastian for those who want to retire without the maintenance of a single-family home. Renting is also an option and Sebastian has many choices. Renting may be a way for you to look the area over and experience “life on the lagoon” without making a commitment to permanent housing. Finally, there are also several manufactured home communities and RV parks. Information found at the 'Retire to Sebastian' city website. Sebastian is a principal city of the Sebastian–Vero Beach Metropolitan Statistical Area, which includes all of Indian River County. As of 2010, the population recorded by the U.S. Census Bureau is 21,929. There were 7,287 housing units at an average density of 577.4 per square mile. The median income was $49,975 and the median income for a family was $59,600. The per capita income for the city was $24,959 in 2010. Information from Wikipedia. 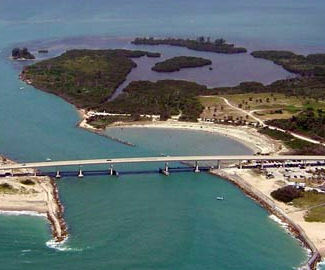 Sebastian is recognized as the home of Pelican Island, the first designated wildlife refuge in the United States. Sebastian Municipal Golf Course is predominately a public, daily fee golf course. The facility also offers annual memberships for golfers who typically play the golf course an average of 2.5 to 3 times per week. The course features the Eagles Nest Restaurant with indoor and outdoor seating overlooking the beautiful golf course. Open for breakfast, lunch and dinner. 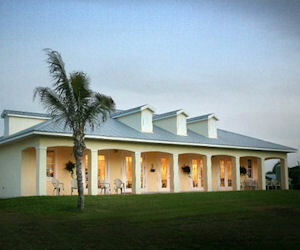 Capt Hiram's Resort is a fun, relaxed waterfront beach resort located in Sebastian, Florida. It includes a riverfront seafood restaurant, Bahamian-style SandBar, Boatique gift shop, and marina nestled on the Intracoastal Waterway. The Inn offers rooms with balconies or patios and a heated pool with tropical foliage. Capt Hiram's also features great live music seven nights a week, including the Capt Hiram's Concert Series where you can enjoy national recording acts in the intimate setting of the SandBar. Sebastian Municipal Airport (FAA Designator X26) is located on the northwest side of the City of Sebastian, on the east coast of Florida. It is a General Aviation (GA) facility, serving primarily small personal and corporate aircraft. It has two runways (RWY 4-22 and RWY 8-26), the longest of which is 4,000 feet in length. The airport offers aircraft storage, maintenance, and a world-reknowned skydiving school/facility. Sebastian Inlet State Park is the premier saltwater fishing spot on Florida's east coast; favored by anglers for catching snook, redfish, bluefish, and Spanish mackerel from its jetties. The Indian River Lagoon is a grouping of three lagoons: Mosquito Lagoon, Banana River, and the Indian River, on the Atlantic Coast of Florida. It serves as North America's most biologically diverse estuary. In 2007, visitors spent an estimated 3.2 million person-days in recreation on the lagoon. The area is also well known for the rare antiquities that have washed upon its shores. Treasure hunters continue to search our beaches for gold, jewelry, and other artifacts lost in history. The Mel Fisher Center Inc. conserves and exhibits many of the new discoveries from wrecks of the 1715 Fleet still being worked and recovered. Visitors can join the search for the remaining treasure by visiting the investor relations department, or own a "Piece of History" by visiting our gift shop. Sebastian's waterfront communities offer various recreational activities such as boating, freshwater or saltwater fishing, kayaking, surfing, swimming, jet and water skiing, and more! The St. Sebastian River, Blue Cypress Lake, and the Stick Marsh are fishing hotspots and a boater's paradise. Sebastian hosts one of the most spectacular skydiving views in the world. Surfing is also a popular recreation and several major competitions are held here every year. At Pelican Bay in beautiful Sebastian, Florida you can enjoy resort-style 55+ living and wonderful homes, combined with the alluring coastal beauty of the Intracoastal Waterway on the Treasure Coast. Resort-style amenities and activities, include a 3,500 sq. ft. clubhouse, a private fishing pier on the Intracoastal Waterway, an outdoor veranda overlooking the Indian River, a heated swimming pool with sundeck, and boat and RV storage. Adjacent to the Pelican Bay community pier, Sebastian Inlet Marina offers wet slips and dry dock storage. Local golf courses, including Sebastian's Golf Course, are just six miles away. Waterfront dining at Captain Hiram's Resort is located four miles from the community. 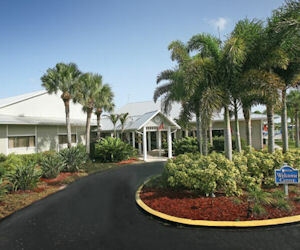 In addition, the attractions and conveniences in the popular cities of Vero Beach and Melbourne are within 18 miles. Park Place is a 55+ lakefront retirement community located in Sebastian, Florida situated on Florida's renowned Treasure Coast on a secluded lake in a charming seaside hamlet. This gated community features a spring-fed lake and an amazing clubhouse. Park Place is a great place for Florida resort living, where you can gather at the lively 10,000 sq. ft. clubhouse and recreation center for daily activities, sunset happy hours, and evening festivities. Residents enjoy a wide array of onsite activites as well as easy access to local attractions and everyday conveniences including marinas, waterfront restaurants, golf courses, banks, churches, and post offices - all within five miles of Park Place.